By now I am sure you have heard about the “deflate-gate” scandal that is buzzing through the news wires this morning. The New England Patriots are being investigated for using deflated footballs in the rain, in their dismantling of the Indianapolis Colts on Sunday. The only balls that got deflated were Andrew Luck and the Indianapolis Colts’. But surely enough, out come the Monday Morning soapbox stances from anyone with an opinion. Griffin Not Doing Private Workouts A Sign? People tell me not to ‘make anything out of’ Robert Griffin III not doing any private follow-up workouts for teams. We at theHogs.net never miss an opportunity to make a bad pun on a good pig cliche, so I can’t help but think on the day that the city of Indianapolis let one of the greatest football players EVER escape, that I should look outside for flying pigs. Subsequently I could also skate my way to a hell that must have frozen over if the mighty Peyton Manning had actually been relieved of his Colts’ duties. For those who like to dream, here is the opportunity to see Andrew Luck in a Redskins uniform. While fans would prefer to see Luck don the number 12 over John Beck, in all likelihood he will be sporting that jersey in central Indiana next season. 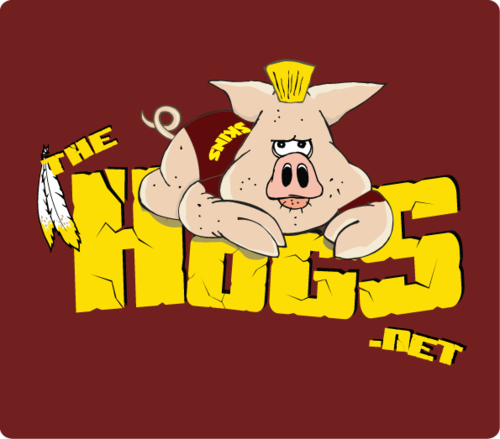 This Photoshop design comes from Chris Creamer’s SportLogos.net’s forums. This is far and away the best web site for sports logos and uniforms. Folks can see Luck in Colts and Dolphins uniforms in amazing detail in this thread. Here is the link to see the Luck photos. Tags: Andrew Luck, Indianapolis Colts, John Beck, Miami Dolphins.